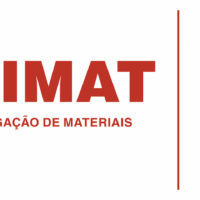 Next September, a 30-month Post-doc position will open in CENIMAT-i3N center in the framework of an R&D project (SuperSolar) that It was recently awarded by the Portuguese Foundation for Science and Technology. Briefly, this project starts in July and will develop innovative quantum-dot intermediate band solar cells based on Perovskite host materials, and enhanced with photonic (light trapping) structures. The Post-doc position consists in simulation and experimental work, with a researcher contract for 30 months (minimum) with conditions (salary, taxes, etc) similar to an Assistant Professor in Portugal. It will be possible to receive further details about it for those who are interested. Please contact Manuel João Mendes (mj.mendes@fct.unl.pt) for further info.